My name is Laima (pronounced Ly-ma) and I grew up in Lithuania. As a young girl I was introduced to tailoring by my grandparents who were known for being the best tailors in their area. They got me interested and I wanted to find out more. I studied garment technology and learned how to make patterns for clothes. Soon I was running a shop where I provided tailoring and general alterations. I made dresses, suits, shirts and blouses from linen which is traditionally produced in Lithuania. 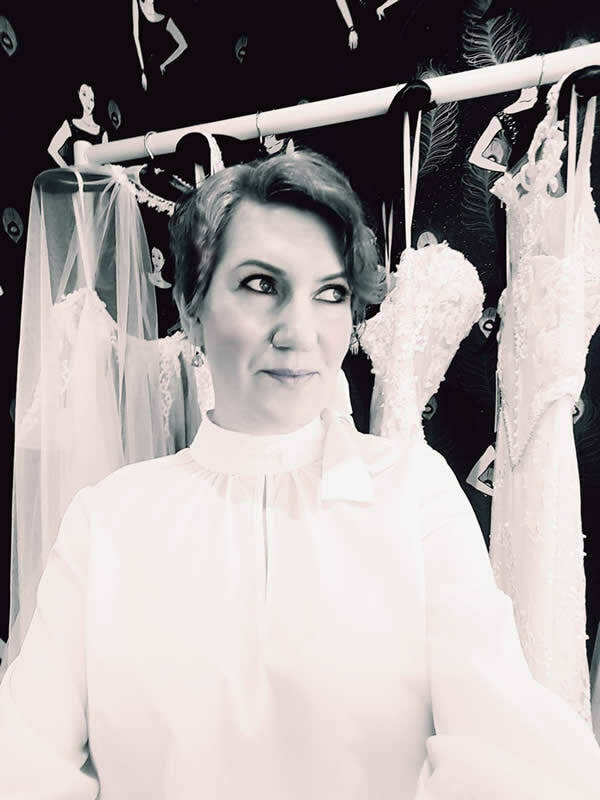 It was 12 years ago when I moved to the UK and I soon started Laima Bridal specialising in alterations for bridal and prom dresses. I also created and made unique bridal headdresses too. I loved this but I had a dream to one day open my own boutique selling designer dresses. With my business partner, Laima Boutique has now become a reality. We aim to provide a selection of modern fashion forward bridal, bridesmaids and prom dresses that are a little bit different to what you may find elsewhere in Birmingham. Looking forward to meeting you in our boutique!